LIST OF FILMS - Wikipedia. 10 MOST EXPENSIVE MOVIES OF ALL TIME - Times online. 10 TOP 10 - AFI | American Film Institute. 10 WORST MOVIE SPIN-OFFS - IGN movies. 25 FUNNIEST MOVIES SINCE 1983 - Entertainment Weekly. 25 GREATEST CULT MOVIES EVER - Entertainment Weekly. 50 GREATEST COMEDY FILMS - documentary commissioned by Channel 4 in the United Kingdom. 50 WORST MOVIES EVER - Empire. 100 ALL-TIME MOVIES - Time Magazine. 100 GREATEST FILM DIRECTORS EVER - Total Film Magazine. 100 GREATEST FILMS - written and edited by Tim Dirks. 100 MOST ACCLAIMED MOVIES OF ALL TIME - Jeems's CinePad. 100 TOP FILMS - Times Online. 250 IMDB TOP MOVIES - "Top 250 movies as voted by our users." 301 Greatest Movies of all time - Empire. 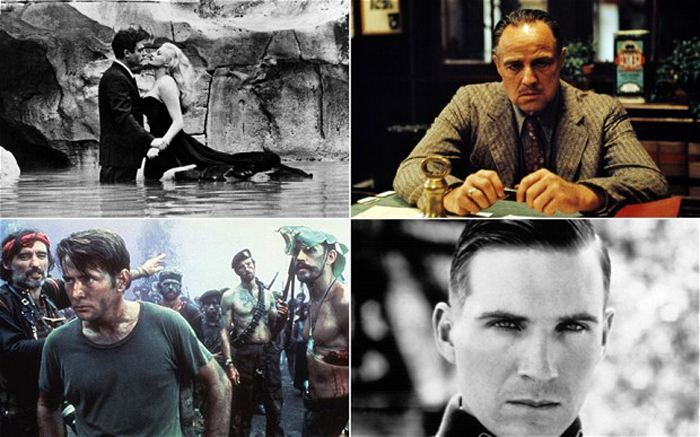 1,000 BEST MOVIES EVER MADE - New York Times. 9,331 BEST MOVIES - The Movie List. ALL-TIME 100 BEST MOVIES - written and edited by Tim Dirks. Films considered the greatest ever - Wikipedia. GREATEST FILMS - containing interpretive, descriptive review commentary and historical background, and hundreds of colorful, vintage film posters for some of the best Hollywood and American classic films in the last century. HOLLYWOOD'S BIGGEST FLOPS - Forbes Magazine. HORROR MOVIES - horror movie news, reviews, trailers. List of films considered the best - Wikipedia. List of films considered the worst - Wikipedia. RANKER - "The Best Movie Lists Around: Top 10 Film Lists and Top Movie Rankings."